Broadcasting live from Setup Day at the Flight School Association of North America Convention in San Diego, we bring you three tips for improving aviation sales at small specialty trade shows. Choose these specialty shows carefully to ensure you’re in a “target rich” environment with lots of your ideal customers in attendance. 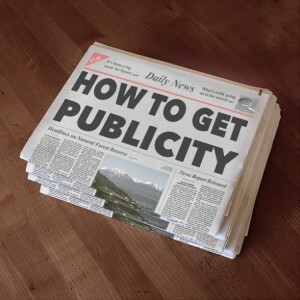 Ask show administration about other advertising opportunities for exhibitors and attendees. Get there early, set up & test, help your neighbors set up! Make friends with the infrastructure people – you’d be surprised how much they can help! One thing NOT to do (but that everyone seems to do!) is to arrive late and frantic and to be demanding of everyone around them. Live from the Flight Schedule Pro booth at the Flight School Association of North America conference in beautiful San Diego California, we talk about small, specialty aviation trade shows and conferences and how to make the most of the marketing opportunities there. 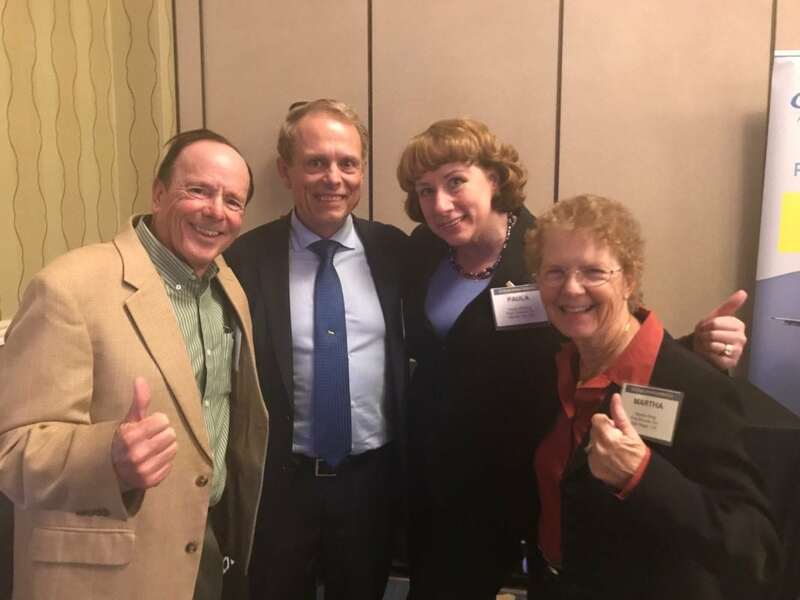 Note – after this was filmed, we had the opportunity to spend a little time with John and Martha King, who were featured speakers at a dinner. They hung around and chatted with attendees, and graciously posed for a photo. And yes, they are JUST as delightful in person as they are in their videos. 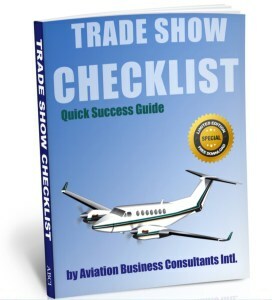 Download our Trade Show Checklist to learn more about how to sell more aviation products and services next year, by attending or exhibiting at aviation trade shows! 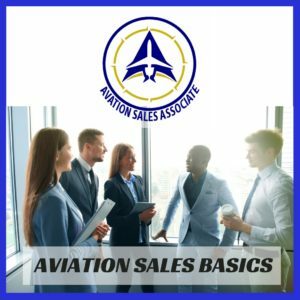 New to aviation, or new to sales?